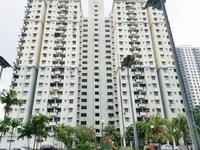 Menara Orkid is a Leasehold Apartment located at Jalan 3/84A, Sentul Perdana, 51000 Bandar Baru Sentul, Kuala Lumpur. 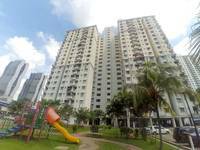 Menara Orkid comes with 2 blocks of 20 storey building which comprises a total 780 units. The built-up size of the unit measures approximately 800 & 838 sf in size which includes 2 bedrooms and 3 bedrooms. 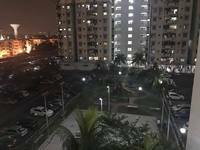 Menara Orkid provides facilities such as covered & uncovered parking, playground, 24-hour security and mini market. 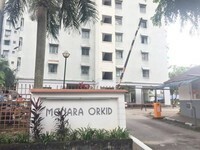 Menara Orkid is near to amenities such as shopping mall (Suria KLCC, Pavilion, Avenue K, Sogo and The Mall), public transportation (Sentul LRT station and KTM Sentul), colleges (International College of Music, Institute Aminuddin Baki Kementerian Pendidikan Malaysia and Institute Latihan Majlis Kebajikan & Pembangunan Masyarakat Kebangsaan Malaysia), and schools (Wesley Methodist School, SMK (L) Methodist Sentul, SK (L) Methodist Sentul, SK La Salle Sentul 2, SJKT Thamboosamy Pillai and SMK Bandar Baru Sentul). Menara Orkid is easily accessible via Jalan Pahang, the Sentul Link highway, Jalan Tun Razak and the Duta-Ulu Kelang Expressway (DUKE). 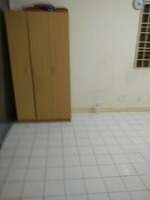 Get me good deal if there is any units available in Menara Orkid.